The shed was opened on 21st April, 1973 with a fleet of 30 WDM2 locos and Grown up to present Loco Holding of 142 locos of different types of Diesel Locomotives. Diesel Loco Shed,Kazipet is certified with Integrated Management System (ISO-9001:2015, ISO 14001:2015 & OHSAS 18001:2007) and with 5S certification. 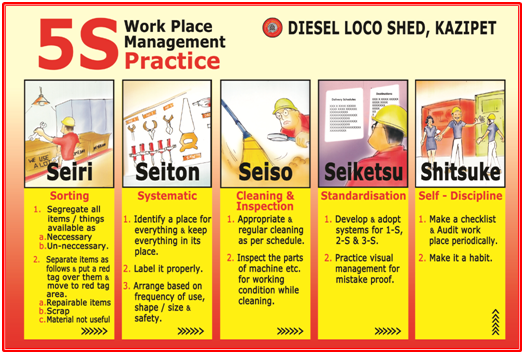 ACTIVITIES OF DIESEL LOCO SHED, KAZIPET: Maintenance of WDM3A, WDG3A Type ALCo locos and WDG4, WDG4D type HHP locos. 90% of staff are working in Bilingual and Hindi meetings are being conducted every 3 months. Diesel Loco Shed, Kazipet achieved first prize during Hindi exhibition on 26.10.2010 for implementation of Hindi as RajyaBhasha in SC Division. • During year 2016-17, the availability is maintained above 5.30 % over the Target. • During year 2016-17, the ineffective %age is contained below 4.42 % as against the permissible limit of 10%. 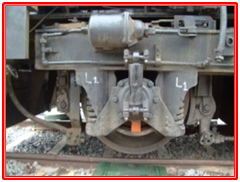 Cases of locked axle failure of locomotive are occasionally encountered on-line while on run due to bearing failures. This may cause blocking of the section affecting punctuality of trains. 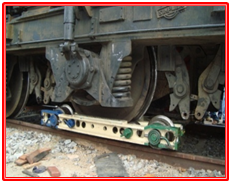 This has to be attended by the nearest loco shed staff either by extracting traction motor pinion in the event of Motor seizure or by floating the affected wheel in case of Axle box seizure. Floating the affected wheel of the loco is a quick method to clear the section in minimum time. Shed has developed links of blocks of standard dimensions for all types of locomotives and kept by ART/KZJ. 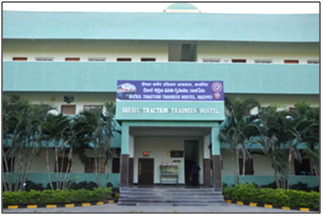 A three days demonstration was also organized by ART/KZJ of DSL/KZJ to all the ART and Shed staff of SCR. 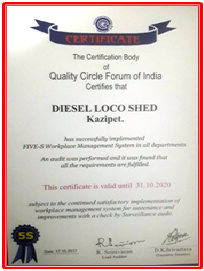 Diesel Loco Shed, Kazipet has been certified with 5S certification on 17-10-2017 by M/s. 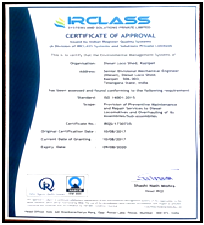 Quality Circle Forum of India. The 5S system of work place management has been implemented at DLS/KZJ. 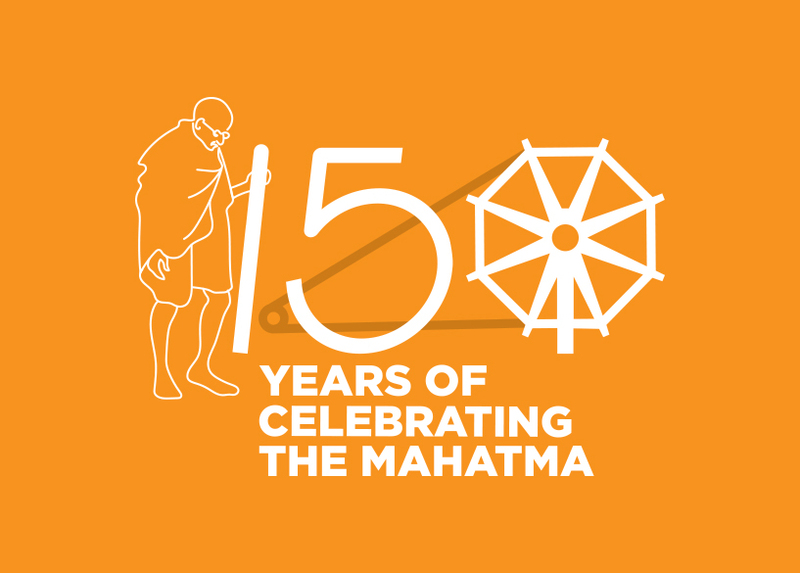 With 5S principles at work place, unnecessary wastage in terms of material, time and man power was avoided, there by resulting in optimum utilization of resources. Energy Audit of Diesel Shed, KZJ was carried out by Electrical Maintenance Branch during 2016. It was decided to put LED lights and solar panels wherever feasible for reducing the electricity consumption and to identify areas for energy conservation. An inspection was carried out by DME/D/KZJ & ADEN/S/KZJ for carrying out water audit of water consumption and to implement effective measures to save the water. 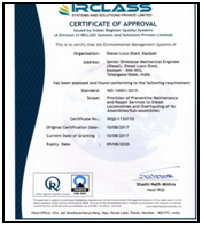 It was decided to install water flow measuring meters at prominent locations. A fire Audit was conducted by Sr.DSO/SC, Sr.DSC/SC and Sr.DME/D/KZJ during August 2017 to ensure firefighting equipment in order. 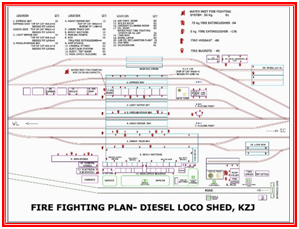 • Action plan with measurable targets have been defined for each section (20 sections available in shed) to achieve better reliability and availability of locos. • Loco schedule history has been computerized. Similarly Loco failures, Loco schedules, Wheel Profiles, Stores, and components failures etc., also computerized in access database for quick and proper analysis. • Safety Action plan has been defined and implemented to turn out the locos from shed with all safety parameters certified at SSE and Officers’ level. The staff, Supervisor & officer responsible for checking each safety parameter is defined in the Plan and meticulously monitored. There is No derailment on Loco Account. 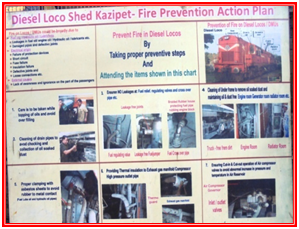 • Audit plan for all sections in the shed has been defined and displayed in sections in form flexi charts for conducting regular audits to achieve best reliability and availability of Locos. • Technical audits are regularly being conducted in all sections to stream line the working to achieve better reliability and availability of locos. • A number of test gadgets have been developed to improve the reliability of various sub assemblies of the locomotive. 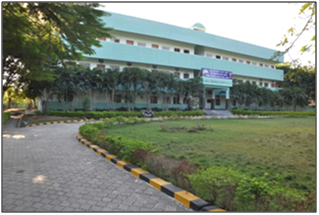 Diesel Loco shed, Kazipet is attached with a training center for imparting training to running staff and maintenance staff. 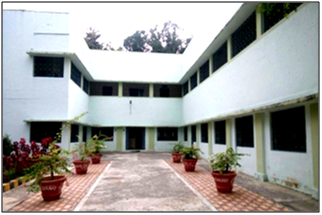 A Hostel with 27 Rooms available. 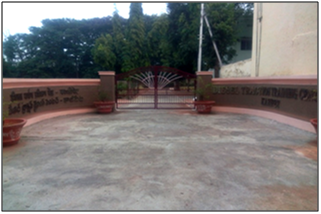 Hostel housekeeping and Maintenance is outsourced including cooking of food. GM/SCR inspected the shed on 26-08-2014. 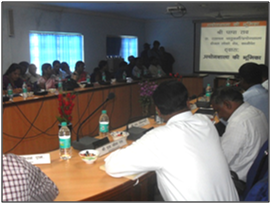 CME/Plg/SC inspected the shed on 17-04-2014. 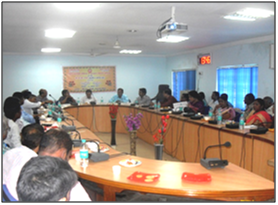 ED/(MP)/RDSO/LKO visited the shed on 25-02-2014. A special drive is started to detect the cracks in the knuckle pin area through DPT during M4 and above schedules. 52 locos are covered in the drive and detected 06 are defective. In the shed, first of its kind a control stand modification carried out on loco no. 18983. The vertical type control stand is converted to desk type for LP convenience. A Computerised SFC kit provided in Load Box is commissioned and kept in use. A Test stand is fabricated for torqueing WDG4 power assembly. A tool is fabricated for removing the cup disc of lube oil relief and regulating valve. The shed has renewed the HP tube contour checking gadget. With the modified gadget the accurate length of the HP tubes can be checked. The shed has fabricated the stand for piston assembly for WDG 4 locos and also developed Valve springs removal gadget. DLS/KZJ has achieved 6.96 % Outage excess over the target (outage Target is 72.0 (for WDM3A WDG3A), Actual outage is 77.01 for this month, despite one loco in POH shops. Actual Ineffective %age is 6.48 as against the target of 8.5 %.